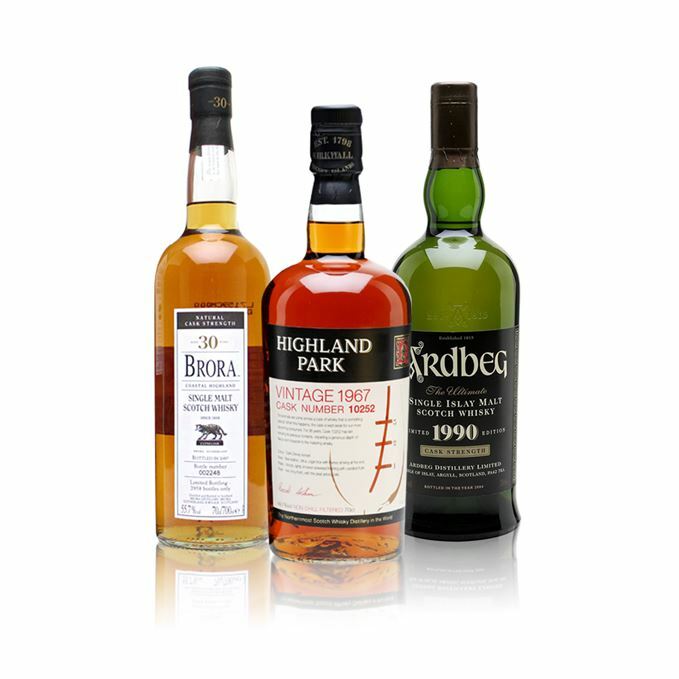 Digging around in the archives, Dave Broom happens across three rare single malts bottled in three separate decades. 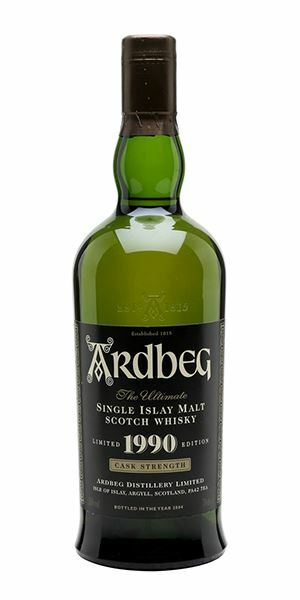 First to be assessed is an Ardbeg 1990, a ‘typical’ example of the distillery’s dry-sweet character that was produced while the distillery was under the ownership of Allied Distillers. It had reopened the previous year, having been silent since 1981, though its production was somewhat intermittent and its future hung in the balance. Broom moves onto a butyric (sour milk) Brora distilled in 1977, some six years before the Highland distillery closed. 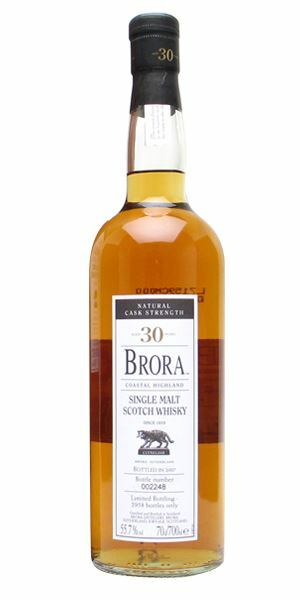 The bottling is one of the first whiskies produced at the distillery following its heavily peated period during the 1970s – Brora was used to supply the DCL’s heavily peated quota while Islay’s Caol Ila was being rebuilt from 1972-74. From 1977, Brora’s peating level dropped, although the distillery occasionally produced heavily smoky runs during periods of drought on Islay. This expression is one of the intermittent peaty bottlings. 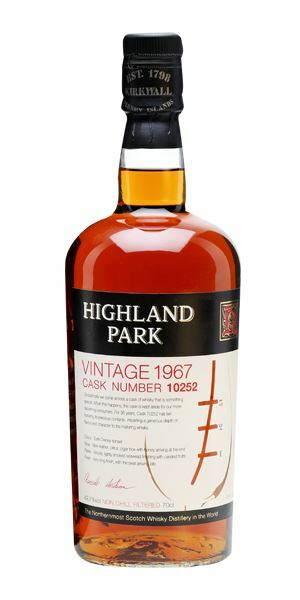 Lastly, a ‘superlative’ example of Highland Park, a 36-year-old single malt distilled in 1967 demonstrates complex notes of delicate honeyed fruits, Moroccan spices and rancio. The Orkney distillery was at this time owned by Highland Distillers (which became part of Edrington), and the majority of its malt was destined for blending. Its first single malt bottling didn’t appear until the late 1970s (as an eight-year-old). Quite a light colour, indicative of refill being used. It has that very Ardbeggian mix of the dry and the sweet from the off. The former is in charge initially, coming over as like sticking your head up a sooty chimney, while in the background there’s peat moss, wet moorland grass and damp earth. Then the sweeter elements begin to grow in confidence – a touch of vanilla, oat milk – and then oiliness, before you’re back in the country again – moss, a cool breeze through spruce trees, and even a hint of juniper. Becomes increasingly complex. Water switches the dry and sweet around with more (smoked) fruit syrup and light shoreline elements, before settling down to the aroma of a freshly oiled bike chain. While it’s smoky from the moment it touches the lips, there’s also this added rich, almost roasted quality, along with a sensation like a crust of Hebridean sea salt, before the mid-palate release of more liquorice, smoked tea and calamus as things dry once again. Water again buoys up the sweet elements with more concentrated ripe fruits, some rich, peaty depths and an increase in spiciness. Quite dry and ashy. Fairly short, which is a slight let-down. Sweet and dry, light and dark, good and evil, yin and yang. The eternal tussle played out on nose and palate. Job done, the chimney sweep goes home, whistling a jaunty tune. Clean and slightly ozonic – a spring day on the water – with very light smoke and a fuggy aroma reminiscent of wet, heavy weather gear drying after a storm. Then there’s a light goat shed quality which drifts tantalisingly close to sweat. It’s somehow balanced by gentle medlar, quince and mirabelle fruitiness before the peat comes back which, when mixed with the marine elements, is akin to charcoal-grilled fish in a sushi bar. Then a cheesiness develops and it is this which dominates when water is added, bringing an overwhelming note of sour goat’s milk. Yes folks, it’s butyric. Thick and considerably bigger than the nose suggests, texturally rich and layered with good length, light lemon accents and smoke from the mid-palate onwards that comes over as burning field stubble balanced by the softness of scallop, a bite of pickled ginger (we’re back in the sushi bar) and still the goat straw element nagging (nannying?) away. There’s a tug here between the land and the sea. The butyric notes are less obvious on the palate when water is added, which is no bad thing. Acidity and zestiness and the marine element finally breaks free of the farmyard. It’s bold, it’s smoky, it’s fascinating… but it’s also butyric. Transporting a cargo of goats across the North Sea. Opens with a heady and heavy floral richness: iris and buddleia, then heather blossom. This thick, hedonistic richness continues to grow, with stewing soft orchard fruits, then smoke – but sandalwood incense rather than peat smoke. It then softens – double cream, then orange crème brûlée before darker fruits, but again it’s not conventional; more plum and fig. Hugely complex, layered and sweet, it becomes increasingly honeyed: propolis, wax, honeycomb and wild flower-derived. With water there’s more rancio and exotic aromas of a Moroccan souk: sweet spices, light leather, charcoal embers. Huge, but also softly elegant and actually with a tiny glimmer of heat. As the nose suggests, the flavours are layered and all lightly influenced by smoke. There’s an intriguing interplay here between the spicy (pimentón), the thick, heavy blossom honeyed fruits (apricot especially), a light, birch sap element and a tiny touch of iron (blood sausage). Water just lightens things a little too much, so keep it on the side. Fragrant smoke. Long and complex. Tightens slightly. Superlative example of an aged Highland Park. Rare Batch 24 26/07/2017 The first SMWS bottling of Longrow, plus a lesser-spotted Inchgower and a Tomatin from the 1970s.